Casement Windows compared to Awning Windows? 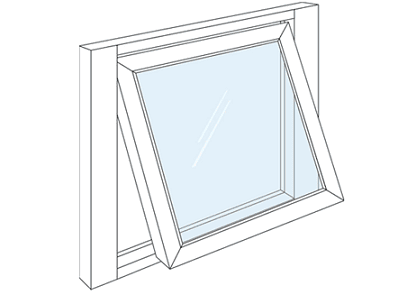 Home/Blog, Uncategorized/Casement Windows compared to Awning Windows? Once you have decided that it’s eventually time to replace your windows, you will now stumble against another obstacle which is deciding on which replacement window style will best suit your home. This is why we at Peterborough Windows & Doors, have decided to write this article based on the casement windows and the awning windows, as these window are the most popular double glazed windows in Peterborough. 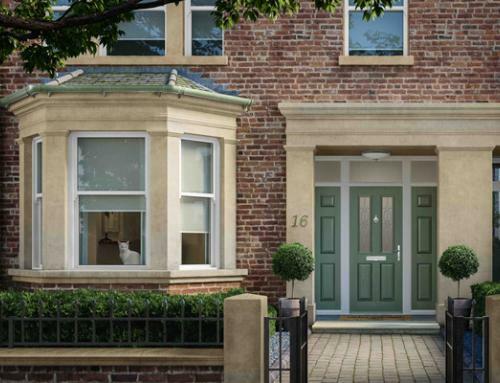 Throughout this article we will take a look at the benefits of the casement windows, including the configurations and customisable options. Not forgetting the reasons that you should considering about purchasing casement windows for your home. Casement windows are hinged at the side, they open outwards to either the left or right. 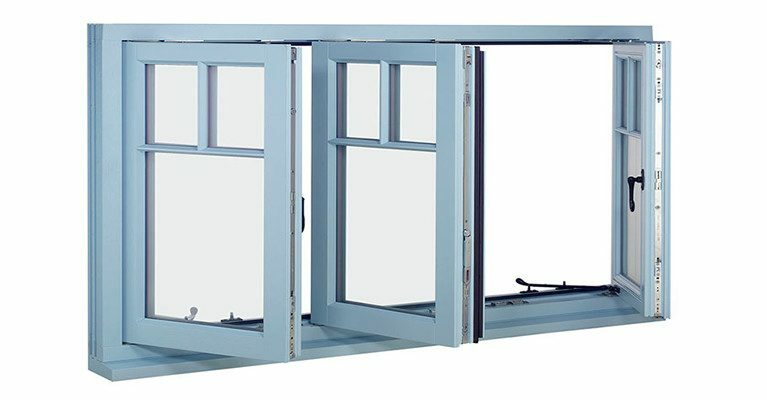 The casement windows are commonly known as the crank window, this is due to the cranking mechanism which is used to open and close the windows. These windows have a fold-down handle which smoothly operates the mechanism. Our casement windows will open to an incredible 90-degree angle, allowing cleaning inside and outside of the window easily within your home. These windows have screens inside of the window, not like other replacement window types which are on the outside. These screen are designed to match the interior colour of the window, allowing the screen to blend in like part of the window. Is an Awning Windows the same as the casement windows? The casement and awning windows look very comparable in style, but there are a few differences. Firstly the casement windows are side hinged, while the awning windows are hinged on the top. Where height of the window needs to be greater than the width, makes the casement window the ideal choice. While the awning windows are best suited for window opening greater in width than of height. If you are looking for a classy design to be added to your home, then the casement windows are the ideal style for you. These windows provide a clean but simple lines which complement the design of a contemporary Peterborough home, or an upgrade for a traditional property. These windows provide an unobscured view to the outside, due to sleek stunning design with maximum visibility of glazing. Our casement windows have hold-down handles which provide easily opening and closing for the life of these windows. If allowing more natural light into your room is important, then the casement windows will be ideal for your living space. As casement windows open to 90-degrees, this allows maximum light not forgetting ventilation, into your home. 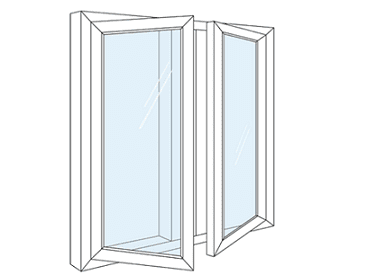 For rooms which require maximum ventilation such as the kitchen or bathroom, then these windows are ideal for you. They even offer an unobstructed view if required ideal for sitting areas or even the traditional sunrooms or a conservatory. 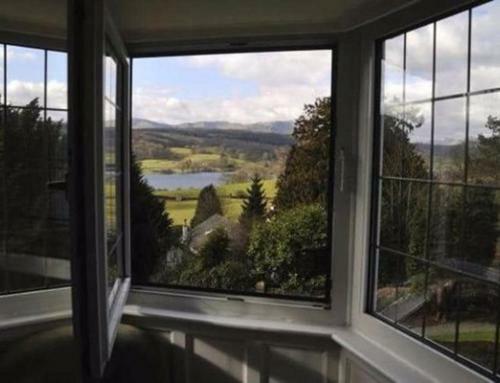 We offer multiple options for window configuration to maximise your view. 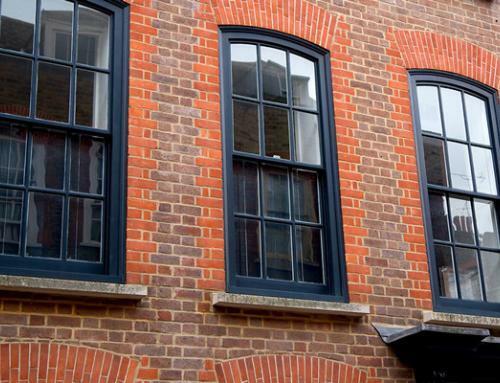 These casement windows can be arranged in a variety of choices to best suit your requirements. Regardless of your choice of configuration, your windows will remain to operate the same way. As there are so many replacement window companies available in Peterborough, it becomes extremely difficult to know which window manufacturer to choose. Replacement windows are an investment which should last for many years to come. 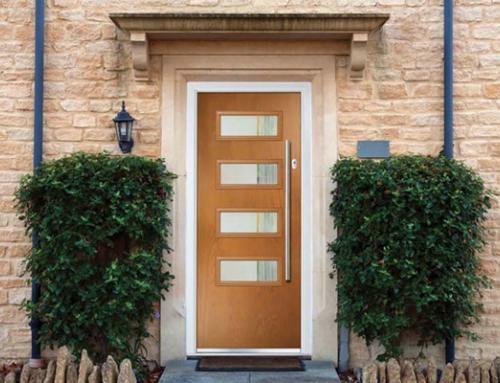 Not like other window companies, Peterborough Doors only use Liniar window profiles, which have increased strength of the window. These re-enforced sash and frame ensures durability of the window, while the additional stainless-steel components, and provide supreme permanency. 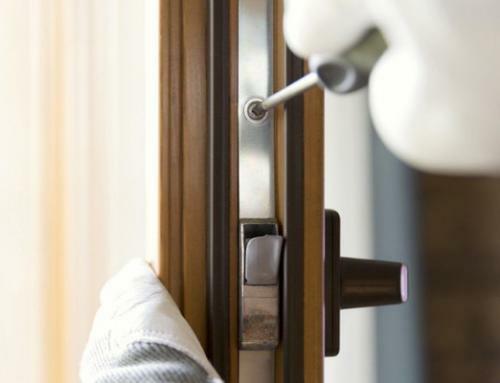 The multi-point locking system locks the window at several points, with an easy to operate window handle, provides additional security for your home. Our windows offer the customer endless options allowing you to create and personalise the window to perfectly fit your Peterborough home. Our replacement windows are near-enough maintenance free, which will never require repainted. We also offer energy efficient glass which can achieve a stunning A+ energy rating.